These fantastic new Maths and English courses are another great example of how hugely important it is to us to share the benefits of our business with the local community. 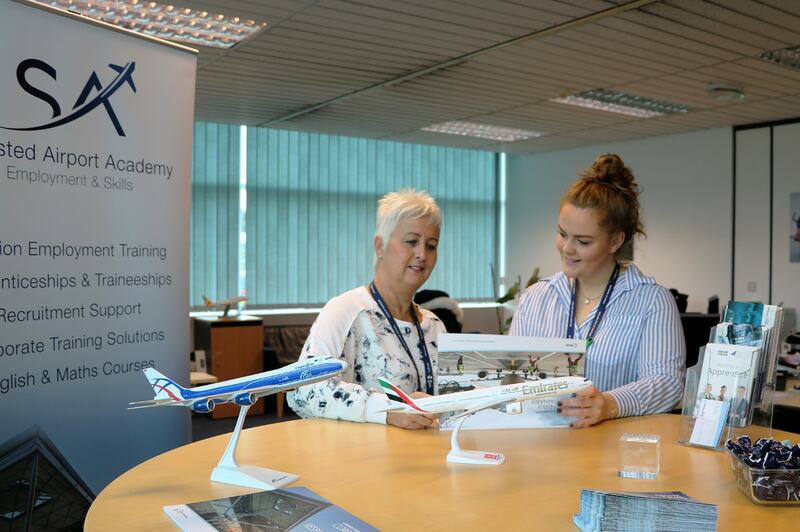 This year we delivered our most successful ‘Meet the Buyers’ event to date, our on-site Employment and Skills Academy has placed 556 people into employment on-site, and we are very proud to have welcomed our 10,000th visitor to our education centre, the ‘Aerozone’. We have a very exciting year ahead, with our hotly anticipated on-site Stansted Airport College helping to bridge the current skills gap in STEM subjects, offering exciting career paths for local young people and providing a pipeline of future talent for the airport. We also remain focussed on minimising the environmental impacts that result from our operation, and despite growing passenger numbers year-on-year, we continue to do this. We have achieved Level 3+ accreditation for carbon neutrality and working in partnership with local people and employing pioneering technology, we have continued to reduce the number of people overflown by aircraft and we plan to expand this technology to other departure routes going forward. While our existing training opportunities are aimed at jobseekers hoping to boost their skills prior to applying for roles at London Stansted, these new Functional Skills courses are available to anyone who wants to improve their literacy or numeracy. Staff members already working in roles across the airport, or in other employment in the region, could benefit from developing their skills and we are excited to be able to build people’s confidence in these areas which can be useful in so many aspects of day-to-day life, as well as work.